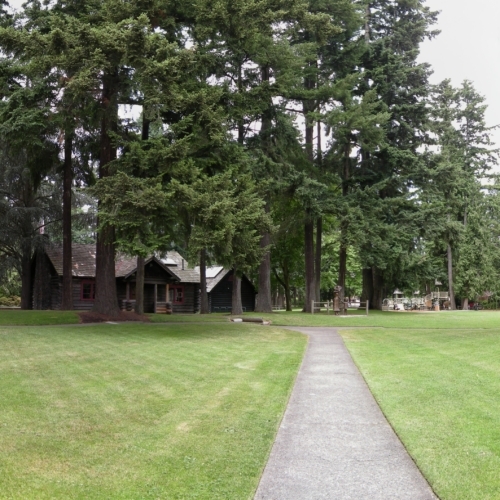 Located in downtown Redmond, Anderson Park is the first and oldest park in the city. There are two historic, rentable cabins, covered picnic shelter, picnic tables, children’s play area, bicycle racks, brick plaza with outdoor stage and restrooms. 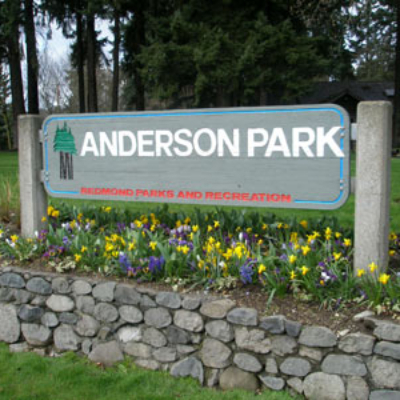 Anderson Park is a lovely oasis of green grass, flowers, and towering evergreen trees conveniently located in downtown Redmond.